‘Tis the season… For open enrollment. This year, my employer is really pushing the high deductible health plan, so I spent the weekend poring over the plan documents. Today I thought I’d share what I learned. The primary draw of the high deductible health plan are the low premiums. In 2010, the regular PPO plan that we’re accustomed to will cost in the neighborhood of $440/month for our family. In contrast, the high deductible plan will run roughly $70/month. In other words, if we opt for the high deductible plan, we’ll save $370/month in premiums. That’s a total savings of $4440 per year. Not too shabby. But at what cost? 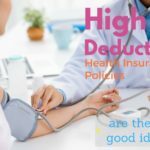 It should come as no surprise that a high deductible health plan has a relatively high deductible. In our case, the family deductible would be $3000 ($1500 for individuals). The PPO, on the other hand, has a $900 family deductible ($300 for individuals). Aside from the difference in deductible, the coverage of the two plans is quite comparable. Both plans use the same network, so we’d have access to the same collection of physicians either way. For “everyday” doctor visits, the PPO has a $20 copay for regular office visits. With the high deductible plan, our insurance would cover 90% of the network rate, subject to our deductible. Beyond that, the coverage is virtually identical, though the high deductible plan has a higher “stop loss” limit ($6000 vs. $2000 for family coverage). In terms of pharmaceuticals, the coverage would be similar. Instead of calling for a $10 (generic) or $25 (name brand) copay, the high deductible plan would cover 90% of the cost of our prescriptions, again subject to our deductible. If we opt for the high deductible plan, we’ll be eligible for a health savings account (HSA). Like the FSA, the HSA provides provides a tax break on qualified medical expenses. Not to be confused with a flexible spending account (FSA), however, the HSA has higher limits ($6150 for a family in 2010) and is not subject to the “use it or lost it” provision. Another key difference is that we’ll be able to invest the funds in the HSA in much the same way we can invest the money in our IRAs. My employer has selected an HSA custodian, but we’re actually free to use anyone we want. If we choose to go with a different provider our contributions won’t be made with pre-tax dollars, but we’ll still be able to deduct them at the end of the year, and we’ll still be able to make tax-free withdrawals to cover qualified expenses. One final bit of information is that my employer is offering a one time “seed” contribution to jumpstart our HSA. This amount will count against our annual contribution limit, but it’s free money. After reading through all of the paperwork, it seems like we’d be fools not to take the high deductible plan. After all, we’d realize an immediate savings of $370/month or $4440/year. Even after paying the deductible, we’ll be $1440 ahead (not counting the HSA seed money). It’s also worth noting that the physician and pharmaceutical copays are actually a good bit higher than 10% in most cases (e.g., the $20/visit copay is more like 20-25% of the negotiated rate). Thus, once we’ve met our deductible, we’ll actually be catching a bit of a break on these costs. As of right now, it looks like we’ll be going with the high deductible plan. Assuming we move ahead with this, my intention is to max out the HSA and start building up a stockpile of cash for medical expenses. Since the HSA isn’t tied to my employer, and we can also carry the money forward and invest it as we see fit, there’s really no downside to overshooting our current needs. Okay, here’s where you come in… This high deductible plan almost sounds too good to be true. What am I missing? Do you have a high deductible plan? Why or why not? And if you do have a high deductible plan, have you run into any nasty surprises? Ruth- I question concern on cost of Dr. related items. The price one would pay, is the price the insurer would pay the Dr. for the services. The major diffrence comes as to what your premium cost per type of plan each mo. $400 X 12 mo.=$4800 placed in HSA account per yr./ with tax credit on fed return. The real question is to whom insurance cost is provided by employer or by you yourself. Thanks for the responses! I am afraid of the scenario of having to pay upfront, we can’t afford to float the type of unforseen medical bills we have had in the past two years. Very scary. @Ruth – Jesse is right in general. I have found some doctors that want up-front payment. If they do that, be sure you check your explanation of benefits when it comes in. If what they had you pay is more than what the carrier lists as the negotiated rate…they will owe you some money back. That’s the main reason many docs offices are willing to wait – they don’t like the ups-and-downs in their books when they have to return money. However, some offices insist on money up front, and I don’t think you can count on them calling you to tell you if you have a balance due to overpayment. @Ruth: When I use my HSA/HDHP, there’s no charge at the doctor’s office. They bill my insurer, then a few weeks later I get a bill for whatever the insurance didn’t cover – which is the full amount, unless I’ve met the deductible or gone in for preventive services that they’re required to cover under Obamacare. I still get the negotiated rate, which makes a big difference for prescriptions. The following post was made in 2009 and no one ever answered..they are the same concerns we have trying to make a decision of which plan would work best for us.Can anyone that has an HDHP please respond? Thanks! “My main question/concern is, what really happens when we visit our pediatrician or PCP for an infection? will they look up our HDHP coverage and ask for the full office visit upfront? if yes, will they charge me the negotiated amount for an office visit? or will they charge me lower (since i’m paying cash on the spot and they don’t have to go through the arduous process of billing the insurer et all) or will they charge me the full list price? will we have to start negotiating prices when we go visit the Dr’s? The above scenario is for the first visits when we are not even close to meeting our family deductible. what happens when the Dr sends us out for an xray or a blood test to another clinic? do we ask for prices upfront? or will we automatically get billed negotiated rates? you can judge where I’m going with this…..
if someone can please relate their real life instances, I would very much appreciate it. I do not see the benefit of a high deductible HSA. All rates with Doctors are pre-negotiated through the insurance companies so you do not get a better rate than a traditional insurance plan. If more Corporations are replacing traditional insurance plans with high deductible HSAs, as did the one I work for, that should tell you all you need to know. If the rates are twice as high that would be very unusual. The only way that would make sense is if the HDHP had a very much lower maximum out-of-pocket. Is your employer placing part of that premium in a health savings account for you? My husband’s employer requires us to pay, for example, $200/month, but they “pass through” $125 into an HSA. That money is ours to keep and use for medical expenses. It’s hard to figure it out. If your premiums are twice as high and you can’t see a good reason why, the traditional plan might be the way to go. Everything I’ve read states that the advantage to the HDHP is the lower monthly premium but that you need to take into account the calculated risk regarding future medical needs. This totally counters what the literature my company has given me states as the rate on the HDHP plan is twice the rate of the PPO. I cannot make heads or tails of it at all as the benefits also look like you pay more out of pocket on average. The other factor you will need to add in is the premiums you will pay. It is high, I don’t question that. Is that a family maximum out-of-pocket? Also, check with your employer; the maximum out-of-pocket for 2012 should not be more than $12,100 (small comfort). Honestly, the best thing to do is the math. Factor in if your employer is making any HSA contributions, and factor in what you are paying for premiums. I would imagine the HDHP has some premium savings over the other plan. Don’t forget also that any money you put into your HSA is saving you on taxes. Depending on your tax bracket, this can be significant. It’s not an easy answer, but you’d be surprised how often the HDHP is the better deal. It’s just that you “get there” in a different way. Kind of like the difference in paying $1,000 for a car with two $500 bills (HDHP)or paying with ten $10s, 30 $20s, 2 $100s, and 2 $50s (PPO Copay plan). You got to the same location, but one probably felt less shocking. thanks for your prompt comment. The Maximum out-of-pocket for both plans normal PPO and high deductible PPO is the same : $12,260. That’s really high and knowing that medical expenses must exceed the family out-of-pocket maximum for the year before the plan will begin paying 100% of the covered medical expenses for the remainder of the year, I don”t see how this could be beneficial. Am i missing something? The very best way to tell if a HDHP is better for you than another plan option you may have is to do a side-by-side comparison. Run through a typical year, and put down what 5 office visits are going to cost you…on both plans. You can throw in some what-ifs. What if you had a surgery? Write down the cost on both plans. When you come up with a total, don’t forget to add in what you pay out-of-pocket for premiums, because that’s your money also. The number you get should tell you which plan is best. As for the question of having kids, my personal opinion is that it can work very well in that circumstance for the same reasons addressed above. If you’re worried about the accidental stuff, get a supplemental accident plan. You can have those and still contribute to an HSA. When you do your exercise, do a worst-case scenario. If the worst happens and you have a big surgery or radiation treatment, etc., which plan will cost you more? Maximum out-of-pocket is the significant number, and you have to keep in mind that on traditional plans you will almost always have copays to pay even after you meet your maximum. That is not the case on HDHPs. Good luck! Sometimes this exercise can be quite eye-opening. So how did the high-deductible plan work for you? Do you have kids? I believe high-deductible might work for young professionals but not so much for families with kids. Is a HDDP a good option for someone expecting to get pregnant vs the PPO plan? Just wanted to know if someone had a experience with that. Not a great plan for those that have a lot of monthly medications. Our HDHP doesn’t cover any medications until we hit our $4,000 deductible, then it’s 80% until our max out of pocket is paid ($7,500). At this rate you can never get ahead even with depositing pre-tax dollars into an HSA. Especially if the health problems are genetic and can’t be controlled. I’m not a fan of the HDHP. Especially when employer’s give below standard cost of living raises every year, no wonder our economy is in the toilet! John – when on Medicare you can have the HSA, but can no longer contribute to it. You are partially correct about after 65. As long as the expenses are qualified medical expenses they are never taxed. If, however, they are not for medical expenses (we’re talking after age 65), they will be taxed at your current tax rate, but there will be no penalty applied (in 2011 the penalty is 20%). And obviously you’ve done the right thing. You were saving money on premiums and thought it through enough to put that savings in an HSA. It really does work! I have had an HDHP for three years. Did not study it nearly as close as most of you–just saw that premiums were a lot less and it achieved my purpose of covering me in case of catastrophic illness. Today, I just checked on how it will cover a colonoscopy and find that with even my $3000 ded/$3000 annual max out-of-pocket, it is 100% covered, no copay, no deductible In or out of network. This because it is preventive. If it became “medical” (the doctor had to remove polyps), the deductible kicks in. In the meantime I have saved over $9000 tax-free in my HSA! One concern I had was reading that if you were on Medicare you could not have an HSA. So I wondered what would happen to it if I went on Medicare. On my way to this chat, I found a source that said it can be spent or transferred on anything after age 65, still tax-free. Jesse – if you were on a $500 deductible PPO plan, broke your leg (emergency room), had $2000 worth of care, you would pay the $500 deductible, 20% of $1,500 ($300), total $800. On $2500 HDHP you would pay $2000. $1200 difference – but let’s don’t forget the premiums. You’ll be paying less every month out of your pocket, and at the end of the year where are you? And what if you didn’t break your leg? Point, too, is that a carrier is going to have to pay for the bill, no matter if you’ve only paid one month’s premium or not. On traditional insurance they accept more of the risk, so they get to keep more of the money. Clearly you are assuming more risk on a HDHP. You are betting you will be one of the 80% that do not meet their deductible in any given year. We do that with property insurance all the time; we weigh our risk tolerance against our monthly outgo. I can go 5 years without a loss, and the month I change my deductible from $100 to $1000 to save money I could have an accident. That’s what insurance is – a balance of how much I want to/can pay against the risk I am willing to take. So if you have the money to spend on premiums for a low-deductible plan, and you don’t mind that even if you’re healthy the carrier keeps the money – choosing traditional is best. If, on the other hand, you feel you can bear the risk, you pay less in premiums (and put the difference in a pre-tax HSA for a rainy day). In the good years you keep the overage. In a bad year you are protected. You did say “to tackle risk.” Much like investments in your 401k where you determine what risk/reward spread you are willing to take, you alone can decide if the tackle is one you want to take. On many plans the question boils down to this. If something bad happens (car accident, cancer, etc. ), does it make a difference if I pay $2,500 FIRST, or if I pay $2,500 spread out over 3 months (total maximum out of pocket)? And if I’m going to pay $2,500 either way (again, we’re talking plan design), wouldn’t it make sense to take the plan with lower monthly outgo? I stand by my assessment that HDHPs can be a very good benefit plan. Premiums are an out-of-pocket expense and part of the picture so should not be forgotten. I would encourage everyone to put their options side-by-side and run through their standard usage and a worst-case scenario. HDHPs are not always the best option, but more often than you think they save you money – even when something big happens. Last – statistics tell us that people are utilizing preventive visits at a higher percentage on HDHPs, and while their using of preventive meds is going up, they’re doing it at less cost because they’re learning to shop for the best deal. Kaye, I agree about weighing what’s best for 90% against what’s best for 10%, but as far as I can tell, HSA+HDHP is much closer to the 10% end of the spectrum. Doing the math is great, but any insurance decision has to involve subjective concerns too. 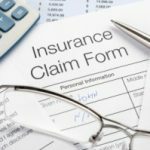 Mathematically, all insurance is a losing proposition: total premiums are always greater than total payouts (that’s how the insurer makes money), so on average you’re better off paying out of pocket. People buy insurance because they want to reduce their risk (at the cost of paying more on average), and HSA+HDHP plainly does not reduce risk to the same extent as traditional insurance. Also, I take issue with the description of HSA+HDHP as “a very good benefit plan”. It’s only good if the company pays your deductible (i.e. fills your HSA up front). Otherwise, what happens if you break your leg the week after you sign up? Time to dip into the 401(k) or take out a second mortgage, right? If you have the pre-existing savings to absorb that risk without taking drastic measures, then congratulations, you’re among the 10%. A successful argument in favor of HSA+HDHP has to tackle risk. Does the average person actually have more savings than I thought? Is the prospect of being hit by a car before the HSA fills up really so unlikely that I shouldn’t be worrying about it, even though I might be rendered destitute if it happened? I’m young, healthy, and have a decent income. I should be a prime customer for HSA+HDHP, from what I’m hearing. But I just don’t see how the added risk is worth it. Jesse – you are right that they’re not right for everyone, but I just challenge people to do the math. As for my husband? Generics were $10, name brand only $30. He felt no pain (I know, some would) paying the extra $20 until the day he found out it translated into $160/month. Then he got serious. HDHPs are allowing companies to keep a very good benefit plan for their employees that covers the big stuff where otherwise they might be tempted to drop coverage altogether. The choice that gets weighed out is dropping all coverage (which we’d agree is bad for all) vs. implementing a plan that 1) has the same potential outlay for a big event as a PPO(max out of pocket) and 2) allows individuals who are willing to do more footwork (shop) a way to keep more money in their pocket. If you have to choose between whats best for 90% or what’s best for 10%, what do you do? Deciding based on the 10% penalizes 90%. Again, it’s not for everyone, but it definitely is a viable alternative. And you’d be surprised the number of chronically ill folks who have discovered a HDHP gives them less out of pocket than a PPO, particularly those individuals whose meds fall in what is commonly referred to as the 4th tier – bio-based or self-injectables (truly “break the bank” stuff). At a potential of $250/month for meds plus office visits or labs, etc., doing the math tells the story for them. In two months they often meet the max out-of-pocket, depending on plan design. Kaye, generic drugs are cheaper on PPO plans too – no reason to spend $30 on the name brand when you can get the generic for $5. I’m puzzled that your husband didn’t think of that sooner. Did your previous plan charge the same for generics as for name brands? Saying that HDHPs will work if people put aside money is a little bit of an oversimplification. I would say they work if people can put aside all the money up front or if they don’t get sick before they’ve managed to save up enough HSA money to meet the deductible, and if they are able to quickly refill their HSA in the event that they get sick. Unfortunately, some people will find through no fault of their own that they don’t fit those criteria, so I would be very hesitant to recommend HSA+HDHP to the general public as a replacement for traditional insurance. It’s really a niche solution to allow people who could pay their medical bills in cash to benefit from the tax advantages of an HSA and the lower charges that an insurer is able to negotiate, with a vestigial “insurance” portion to keep their risk in the five-figure range. …one more. Colds are contagious, but going to the doctor does nothing for them. Flu… So then we fall back on the old ways. Wash our hands often and stay away from other folks if at all possible! Jesse – while on a rare occasion you are right, most of the time people who go on HDHPs find there’s a generic that works just as well…and they get it. As for the office visit? Premiums generally are significantly less. If people take what they are saving and put it in an HSA, they have enough for the office visit. Americans NEED to start thinking twice before visiting their doc. We’ve become a nation of people who go at the drop of a hat “because it’s only $20.” We get the name brand drug “because it’s only $10/$30/$60.” We’ve become so divorced from the cost of our own care we have no grasp on reality, and we think it’s the insurance company’s fault. Some of it is…but we need to take responsibility where it falls in our lap. The first year we were on an HDHP was the first time my husband EVER talked to the pharmacist about his name-brand drug. He then changed to a generic. That would never have happened as long as the Rx was a copay. So HDHPs will work if people will put aside money…just like all those folks above mention. Then, when we need to go, we’re covered. I think they’re great, and that’s after a year when we hit the maximum (not a small one). The second year was better, and we are now carrying money over. I hope soon to have enough built up that I won’t be in a panic about a big expense. And if I get to retirement with a chunk set aside – so much the better! I strongly disagree. Most of us are not hypochondriacs: if we decide not to buy a drug because it costs $250, we’re taking a big risk with our own health. If we decide not to visit the doctor when we suspect we’re sick because an office visit costs $100, we’re taking a risk with our health and everyone else’s (if we might be contagious). Wow! So many of the points covered! In fairness, I’m a broker and actively promote these plans to companies. I also am on a HDHP. Point – HDHPs vary as widely as PPO plans. The key number when comparing any of them is the maximum out-of-pocket. People talk about the high deductible, but that primarily comes into play for something big (yes, there are exceptions such as high-dollar drugs). On a PPO plan when something big came along you ALSO had a lot more to meet. I applaud all of you who have actually sat down to do the math. It’s actually pretty amazing. And consider this – if you have a good year, YOU keep the money, not the insurance company. In a bad year, you’re covered. Pre-tax savings are nothing to sneeze at, and it really, really isn’t such a bad thing that the cost of an office visit or a drug makes us think twice about purchasing it. Using our benefits for “minor stuff” has been a huge driving factor in costs. Time for us to become good shoppers and give a flip about what we’re paying. Copays never did reinforce that habit. Also don’t forget – a $2500 deductible looks huge from the front, but pales in comparison to a $100,000 pile of bills after a major event. How much premium was required to pay that bill, and how many people did it take to pay that premium? Well we have had a high deductible plan for almost twenty years. The deductible is $5000 per person, $10,000 per family/year. This has been an affordable option for our family, however, in the last two years my premium has risen from less than $500/mo. to just under $1000/month ($996) for pretty minimal coverage. (Another way of describing the coverage: “crap coverage”. $1000/month for crap! Who can afford that? Insurance companies are blood sucking monsters and ought to be shut down! They will let all of us die for blood money in their pockets. The thing you have to be careful of if you decide to go with a high deductible plan is that it is tempting to forgo preventive services while you are “healthy” because that money comes right out of your pocket. What I am going to look for is coverage for my children. Then if my husband or I get sick we will just die, and figure it was the only alternative left for us. Our children are old enough to do alright without us. In the end, that is what the insurance companies want anyway. They would prefer to insure the healthy at premium profit and let the sick die. And Jonathan, we have not had an increase in utilization over the last few years, so its not because we are “sick” that our premiums are rising, It is because our society is structured to allow a company to make obscene profits at the expense of the people’s well-being. It is why the democrats ought to burn in hell for not standing up for the American people and fighting for an alternative to the despicable insurance companies. Good luck to all of us because in the end we are screwed! Actually, it all depends on the plan and your provider. My premiums DID go down. Also, it is the healthy that generally benefit from this, as opposed to the “sick”. In your case Delbert, it sounds like your HDHP/HSA arrangement wasn’t beneficial for you. However, with the savings in premiums and the ability to invest monies that were put aside in my HSA, I came out much better. Remember people, all HDHP/HSA’s aren’t the same. Just because one sucked for you, doesn’t mean another plan won’t work for someone else, or maybe even yourself. So the point is, read the benefit booklet, read the coverages and read the deductible amounts. Do your homework, and you’ll be fine. What no is saying is your premiums usually stay exactly the same, as with my company, but now you are responsible for paying all the upfront costs up to your deductible, ex: I went to get some migraine meds that cost a co-pay of $30.00 while on PPO plan- on HSA same script $267.00. Office visit co-pay on PPO $15.00 now negotiated rate on HSA $75.00. Any change in health insurance is loaded with new risks, a good deal can backfire on you if disaster does strike. you arent missing anything. in fact, what most people miss is they simply dont have your smarts in saying “i will put my savings into my hsa”. so they save 3k over the course of a year in premiums, but just spend it on bills or food or whatever strikes their fancy, then complain when they have to pony up money because the HDHP doesnt cover as much. 1. I don’t have a big pile of cash to put into an HSA today. It would take me months or years to save up the amount of the deductible. 2. It turned out that a PPO that has the same high deductible but covers 6 office visits a year (even before meeting the deductible) is actually *cheaper* than an HSA-qualifying plan. Cal’s comment reminded me … a friend of mine had a similar plan to what you are considering and she could not find out what things cost ahead of time. The offices wouldn’t tell her, the docs wouldn’t tell her. It was a nightmare. She needed an MRI for a shoulder injury and no one would tell her the cost. She spent hours upon hours on the phone with people and never found out until she was billed – they gave her only approximates (which turned out to be incorrect). Another two considerations: the unknown — with a high deductible plan you never quite know what you will pay. You will never be told the network negotiated rate (although sometimes you can figure it out) – so you never know quite how much you’re gonna end up paying. HMOs and PPOs are more predictible costs. Also – my employer’s high deductible plan has virtually zero coverage for infertility treatment. When I unexpectedly needed this to get pregnant, I had to wait until open enrollment to switch to an HMO plan. The delay meant that precious time was wasted. Carefully check those benefits — even ones you don’t think you’ll ever need! Just keep in mind that 10% of 2 mill is $200,000.00! The only downside I have found is the first year when you are trying to build up the HSA. Since you pay the full amount of office vists/procedures, you may find yourself putting off somethings that in the past you wouldn’t have thought twice about. You also find out real quick how expensive everything is, office visits are $75-$100 instead of $15. But the good of that is you become more cost conscience and will find yourself shopping around (or at least trying) though the current health care system makes it difficult. After the first year you will still find yourself trying to schedule things around the deductible, especially if you are still planning on kids. The way maternity is billed as a global fee upfront, it makes it hard to get all the OB-GYN charges and L&D charges to fall in the same year. I am not sure when the counter resets, etc. I have switched jobs a lot and by moving from VA into DC my employer switched my insurer so I assume that the counter resets when you change your plan, even if it’s the same insurer. I’ve heard that in the end, an HDHP and regular PPO end up being the same costs for most people on an annual basis. Playing your statistical chances of getting ill has a lot to do with it. Routine care vs catastrophic. I suppose that has to factor in. Another benefit of the HSA is that you can use pretax dollars to pay for your out of pocket dental and vision costs. It seems like the HSA is your clear choice. If I read right the HSA is cheaper in both best and worst cases. Minimum cost : PPO = $5,280/yr after tax HSA = $840/yr pre-tax. Winner = HSA. Maximum costs : PPO = $6180 after tax, HSA $6000 pretax, Winner = HSA. At my company the HSA is also the better option easily. It wins in both min & max costs. My assumption is that insurance companies and/or employers are purposefully making the high deductible / HSA plans appealing so that people will sign up for them cause it saves them money in the end. The higher deductible plans force us as consumers to be more prudent in what we use insurance for so it ends up helping to keep costs lower since we’re more accountable for the expenses. You will pay the insurance negotiated rate, probably better than you could negotiate with cash anyways. You should always file a claim, even if it will be covered by your deductible. This is how the insurance company knows that you have met your deductible. So when you go, file a claim, it gets accepted but you still have to pay for it, pay out of your HSA and once you hit the deductible they just start paying instead of you. my main question/concern is, what really happens when we visit our pediatrician or PCP for an infection? Quick note: Many people seem to be saying that HDHPs are risky. That’s true, but the risk is limited. From what I’ve seen at least, an HDHP starts picking up 100% of expenses once you reach a certain point. The end result (again, from what I’ve seen) is that worst-case scenario with an HDHP is only a few thousand more for the year than what you’re automatically paying with your current plan. Run the numbers and see what your maximum out of pocket is with the HDHP, and compare that to what your premiums are with the current plan. The difference is probably not catastrophically large. The plant that my company offers is great. The deductible is only $1250/person, with mac out of pocket at $2500/person. For a family it is $2500/$5000. So, it actually ends up being a better deal than the PPO plan that has a max out of pocket of $6000 per family. You also still pay copays and prescriptions with the PPO plan after meeting that max out of pocket. With the HDHP, it is completely covered after that, so it works out great. At my recent open enrollment, I calculated our actual expenses for the previous plan year, and what we would have paid under each plan, and the HDHP+HSA wins by a landslide. Plus, each year you accumulate more funds lessens your risk of having to pay out more in deductibles than you have in the HSA. Nickel, you’ve already done the math and figured you’ll be ahead at least $1440 even if you have to pay the full amount of the deductible. That really is a no brainer, as long as the coverages are otherwise equal. The real payoff is if you don’t need to pay the $3000 deductible, then you’re WAY ahead. Low deductibles are a bet that you will need the coverage, but if you’re family is generally healthy, a higher one is the way to go. One thing you might want to check to be sure of is if the deductible is a family deductible or an individual one. Most have three deductibles per plan, husband, wife and one child (even if there are more). If it’s per person, then you could end up paying more in the awful event that two family members have large claims. $3000 is actually pretty low for a high deductible plan. They can go at least as high as $10,000. $70 a month with a few kids in your 30’s..that’s amazing..I have an individual plan in Texas with no kids (I’m 33 and my wife is 28). We have a $2500/$5000 deductible and we pay $280 a month. We have never filed a claim on our insurance and have zero health problems. I guess its Texas or something.Maybe its your group plan. $70 sounds amazingly low. We were thinking about the same exact thing! But it didn’t take long to realize that if the Wife gets pregnant (and that is our goal) the bills would probably end up higher! We are finishing our first year in a HDHP. We decided to give it a try. And, while the whole idea makes up nervous, we have decided that it works for us at this point in our lives. We have 3 young children. We are both relatively healthy. And, we have a HSA that comes with its own debit card. Makes it painless…the payments don’t even come out of our own checking or savings…they come right out of our HSA account. So, no extra paperwork or waiting to be reimbursed. Plus, lots of stuff is covered 100%…like my annual mammogram, 1 well child check-up each year, birth control, etc. We haven’t even come close to using our total HSA balance this year. It’s nice knowing it will carry over. We did a pretty in depth comparison and couldn’t convince ourselves to stay on our old plan, paying much more in premiums and not getting much other than a little more peace of mind. My employer does not have an HDHP option — it’s a PPO all the way. So basically, getting really, really sick this year will cost us no more than $500 + copays and $2400 in pretax income for premiums. If I had access to the same HDHP as you, I think I’d pay the $1600 each year for the $500 stop loss that I get. OTOH, if my PPO was costing me $4000 extra in premiums like yours is, I’d likely take the HDHP. John et al: Like I said above, the plans are virtually identical aside from the higher deductible and much lower premium. Instead of a copay on office visits, we pay 10%, but for pretty much everything else, both plans cover 90%. I’m not sure that I see the added risk here. As far as prescriptions go, we still have coverage there (at 90% vs. a $10/$25 copay with the PPO). There are a small number of meds where we’d come out behind, but it would have to be over $100 for a generic prescription or $250 for name brand to do worse. mapgirl: The lifetime max is $2M on both plans. As an aside, I’m curious about how this works when you change plans. Does the counter reset when we you switch plans, like from PPO to HDHP? I would guess so, but I’m not sure. I am afraid of financial disaster with anything except my regular plan which is 450/month and covers prescriptions. 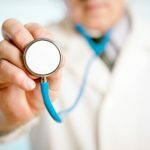 High deductible 300 a month less? Maybe, as long as i don’t get sick, or they cancel me. It’s always risky I feel. As far as the paperwork goes, my HDHP is pretty good about it. We have a streamlined feature, where when the doctor files the claim, they automatically paid the agreed upon rate out of your HSA as long as the money is there. Same with prescriptions. It makes it a little bit easier. You can turn it off if you want to have more control over when the money is used, but I have found it to work really well. I am wary of anything but the least expensive/most comprehensive coverage, but my history makes me nervous. I was 31, slender, good blood chemistry, exercised 5-6 days a week, ate well, didn’t smoke or drink … and I was diagnosed with Hodgkin’s lymphoma. Holy crap. Three weeks in the hospital, six months of chemo (concurrent with six months of many many other things including two lung drains, two PICC lines, three months of home nurse visits, more meds than I’ve taken the whole rest of my life put together, x-rays, PET scans, blood draws, doc visits for the cancer and the side effects of the chemo), a month of radiation. Since then, more doc visits, PET scans, blood draws, x-rays. I paid my doc copays, and I paid whatever the rates were for meds, and that’s all. Even if I pay a higher premium for the rest of my life, it was worth not struggling with whether or not we could afford tests or treatments that I needed. One downside: more paperwork. My employer recently switched to a plan with an HSA. For the services where the HSA will be involved, we now get a bill for the initially-unpaid portion (after any directly insurer-covered portion is paid) from the provider, and a statement from the insurer, then you’ll pay the bill with your own money, and at some point in the process receive a check from insurer for what the HSA covers. It’s not pretty, or at least not what is was with our old traditional plan. Austin: That’s an excellent point about being able to pay yourself back over time out of your HSA. Another use for this clause would be to allow your investments to continue growing tax free. As long as you keep excellent records, you could defer reimbursement until some point in the distant future to maximize the tax-free growth. Wendy: Thanks for the long and thoughtful comment. Our office visits are around $100, so we’d be paying $10-$12 after the deductible is met. As for labs, x-rays, etc. both plans offer 90% coverage after the deductible has been met so there’s no advantage either way. What I can say is this: With four kids running around the house, it’s a near certainty that we’ll max our deductible. We’re just finishing up our first year with a High Deductible plan. Our coverage is a bit different, we get 100% in-network coverage after we meet our deductible, which we did in April! We have moderately high healthcare costs, and compared to the 90/70 PPO coverage, we’ve saved greatly. We put some extra away in the HSA for uncovered costs like glasses and dental, above the money we put aside for the deductibles. On top of that, my husband and I were able to get sleep studies for relatively no out-of-pocket cost, with our old plan, it would have been about $1000, not counting the CPAP machines. The cost savings above the premium for the 90/70 PPO paid for the HDHP premium and contributions to the HSA a bit above what would pay for both the in-network and out-of-network deductibles (my son gets a lot of out-of-network therapies). We can also make our own deposits into the HSA this year, if we want the extra bit of tax break (we haven’t paid up to the max this year). The only problem I’ve had is that we didn’t have an up-front contribution, and the HSA account works like a checking account — you can only use what’s there. So in the beginning of the year, this was a bit hard to manage — I would go to pick up a prescription, and the deposit hadn’t made it into the account, or there just wasn’t enough to pay for it. This year it won’t be a problem; we’re rolling over a couple hundred. I ended up paying for it out-of-pocket, and just saved the receipt. We end up with a large state medical deduction for our out-of-network stuff that’s not covered by insurance. Looking at your plan, I would look at last year’s EOBs and see what a regular office visit costs. For us, a pediatrician’s OV is about $150, and a GP OV is about $110. So with a 90% plan, we’d pay $15 and $11 respectively, after the deductible is met, which is way cheaper than a $20 co-pay. For prescriptions, the most expensive one we had was $275, so at 10%, $27.50 is less than the $35 co-pay it would be with a normal pharmacy plan. I would try to do a similiar comparisons of non-routine costs too, like x-rays, labs, maternity. With our old PPO, we had to pay 10% of x-rays, ultrasounds and other diagnostics, which we get several each year. Also, we had to pay 10% of the whole maternity cost, which could be $3000-$5000 just for a normal delivery. Knowing that we want another kid played a big factor in this part of the decision. We’ve had great success with the HSA/HDHP plans. Absolutely love them and think more people should be on them. It’s the best of both worlds: you get the negotiated rates, and get to invest your savings and receive tax free earnings on those investments. For the record, I am married and have one child with another on the way. Sure everything is out of pocket til you meet your deductible, but it’s still cheaper for us to do it this way. Also, the HSA can pay for ANY qualified medical expense: orthodontics, eye surgery, glasses, dental, etc. If you couldn’t tell, I’m a BIG HDHP fan! We have an HDHP. We have to pay out of pocket for all expenses until we reach the deductible. Checkups are usually covered. We do pay the negotiated rate, but the full amount until we reach the deductible, not a percent. We’ve had almost the exact same option presented to us at work this year and I’ve had a bit of the same problem–it sounds too good to be true, so I’m sure it’s going to cost me. How cynical is that? I think for me health insurance has become the next big psychological hurdle to get over–I’m no longer terrified of my credit report or debt but I’m still scared of crushing medical bills. And I’m relatively healthy and only 37. For this year I’m sticking with the more expensive PPO but I’m acknowledging that the reason is my risk intolerance. I’m going to talk to other folks at work throughout the year and see how the HDHP and the HSA are working out for them and weigh that into next year’s decision. The fact is, I’m a “fix it and forget it” person and this plan feels like it’s going to involve more attention and maintenance than I’m comfortable taking on right now. What this means is that even if you don’t have enough cash in your HSA to cover an expense, you can gradually reimburse yourself. This has worked well for us. Not that you or your young family is in danger of a serious illness, but at the same time, that’s what insurance is for, so coverage could be an issue if someone gets direly sick. Mike: Thanks for the feedback. I’m having a hard time imagining a scenario in which we’d pay more, as the premium savings more than offsets the deductible difference, and the coverage is otherwise comparable. This is actually what makes me a bit nervous, as it seems like I must be missing something. Erica: The HDHP covers 100% of the cost of preventive care. This is not subject to the deductible, there is no annual limit, and we don’t incur a copay. With the PPO we have 100% coverage, but it’s limited to $750 per person per year, and we’d also have a $20 copay per visit. At my previous employer, they gave a $800 HSA contribution every year. It worked out so that it was almost impossible for somebody to have higher total costs with the high deductible plan. Since going self-employed, I still use a high deductible plan (deductible $1,750 individual, $3,500 family). However, each year I’ve had to have some serious medical procedures such that I went way over the deductible. Beyond the deductible, my plan only picks up 80% for the next $10k of expenses–then they pick up 100%. End result: My out of pocket expenses have been slightly higher (about $1k for the entire year) than they would have been with a PPO. But it only works out that way if you’ve got some big expenses. See if the HDHP has preventive coverage. With my plan, I can get annual ups for free- as long as it is billed as a preventive visit. I have had HDHP coverage for 4 years now and it works for us- since we’re not sick much and haven’t had to visit the ER or hospital. Just make sure you have enough cash to cover the deductible in the HSA (or saved up somewhere else).